“A year after the 1978 Chick Corea/Herbie Hancock duo tour was documented on a two-LP Columbia album, An Evening with Herbie Hancock and Chick Corea, Corea’s label, Polydor, issued its own two-LP collection of extracts from the Los Angeles, San Francisco, and Ann Arbor concerts. With both artists still selling lots of electric records then, it was feasible to do so — and the two double sets served as massive ripostes to those who accused the two pianists of abandoning jazz per se in favor of filthy electronic lucre. Fortunately, there was enough worthwhile, often brilliant material on the tapes for both albums, with only one duplication of repertoire. The sole repeated item, the medley of Hancock’s “Maiden Voyage” and Corea’s “La Fiesta,” differs noticeably from the version on the Columbia album. For one thing, it clocks in seven and a half minutes shorter at 27 and a half minutes. For another, “Maiden Voyage” is developed more elaborately and “La Fiesta” incorporates more touches from the avant-garde and generates a little more heat. Indeed, the Polydor album seems to have been programmed with more of a classical bent than its companion. Corea’s “Homecoming” comes off like a big, progressive 20th century classical composition, broken up in the center with humorous fury that is followed by a section for prepared piano à la John Cage. “The Hook” develops the prepared piano ideas even further, with plunkings and buzzing strings galore. 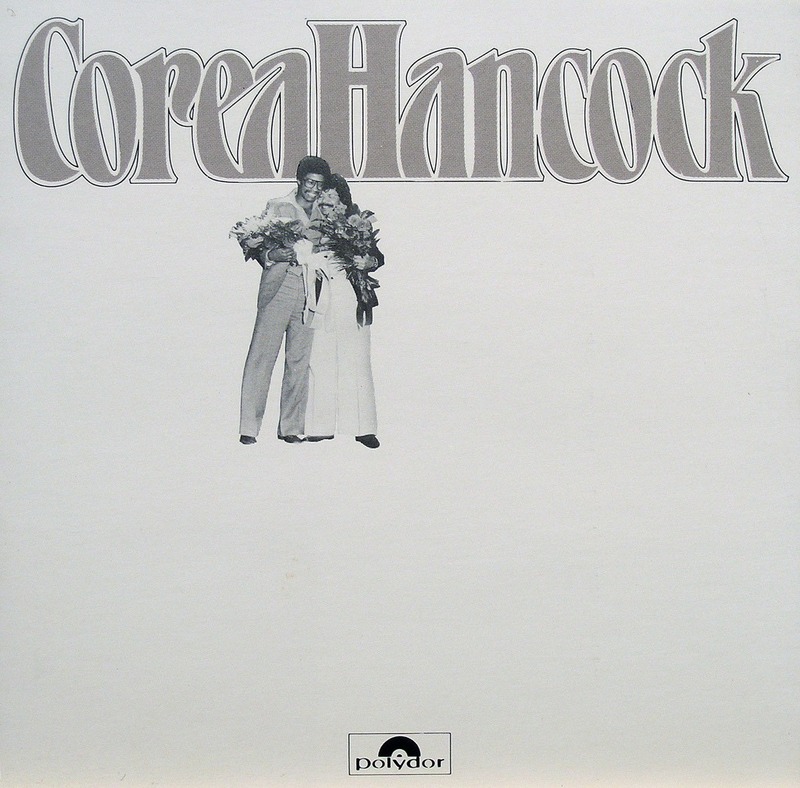 This is the second album from the heralded Chick Corea – Herbie Hancock concert series of 1978. It is perhaps a comment on our age that among the uniformly laudatory reviews of the concerts, a few writers chose to use the word ‘duel’ as a catchphrase. No term could more distort the quality of the experience created by these two remarkable artists out of (in Chick’s words) “a very basic love for each other and a positive trust for the music that emerged from those nights delivered more than awesome pianistics, more even than a monumental extension of the borders of what has been called ‘Jazz’: the concerts provided a demonstration of the possibilities of joyous, heightened interplay between two free beings. The message was, and is, love and freedom. Duets, yes. Duels, no. It is also worth noting – in this age of 48-track computerized consoles, studio overdubs and elaborate musical disguise – that these two men both known for their innovative uses of electronics. would choose to sit down with nothing between them and their audiences except a pair of Steinways, and simply play. It is a refreshment, a corrective to jaded ears, and a strong statement in itself. The album, and its companion on Columbia, provide an oasis of clarity in a sea of senseflash. Herbie and Chick have revitalized and restored for us the meaning of the term live performance. If you position yourself between your two speakers, Chick on your right, Herbie on your left, you will find that you can come very close to the experience of being there for those evenings of genius – enjoying the total effect of the music, and also sitting right in on the crossflow sharing the interaction between the players. While Two has been working at a subtle image of his own. Two merges his with one’s and tosses it back and becomes audience anticipating what One will do now.